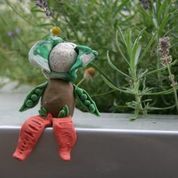 These lovely characters were born at yesterday’s opening day at the Library of Birmingham. 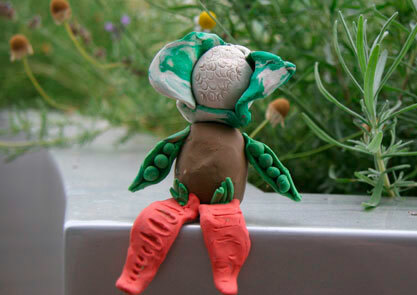 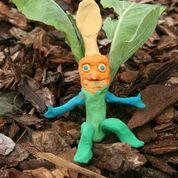 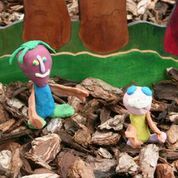 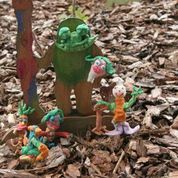 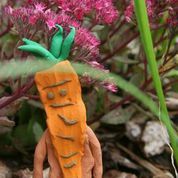 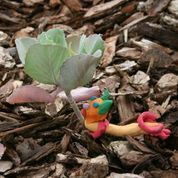 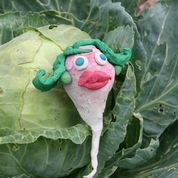 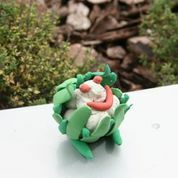 Juneau Projects invited visitors on a vegetable quest, where families made vegetable people from plasticine. 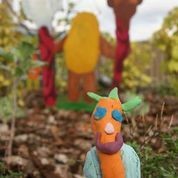 There’ll be another Vegetable Quest workshop on Saturday 26th September, and you can see the Vegetable Quest as part of the Discovery Trail throughout Capsule’s opening season.